Baby Mame and her poodle pals in Beck’s “Fix Me” video. Beck has teamed up with the American Society for the Prevention of Cruelty to Animals (ASPCA) on the new video for his song “Fix Me,” the final track off of his recent Grammy-nominated album, Colors. Featuring beloved Instagram baby Mame and her adorable canine friends doing their typical daily activities at their home in the hills of Yamagata, Japan, the charming video is sure to brighten any animal lover’s day. 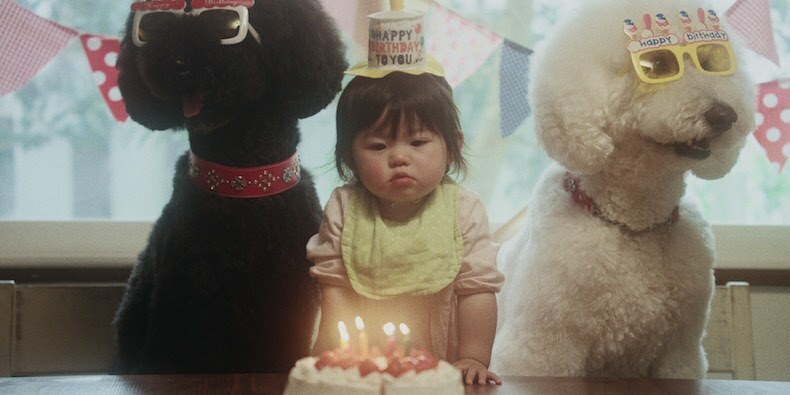 The video features Mame and her three poodle pals celebrating birthdays together, wearing matching outfits, eating, reading and napping side by side, and doing several of the things best friends typically do. 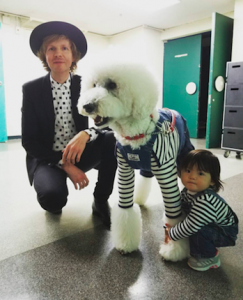 For the video’s release, Beck has partnered with the ASPCA to encourage fans to make a charitable donation to support the valuable work of the first animal humane society established in North America. Check out the video below and visit www.aspca.org/helpanimals to find out more.